New Jersey is in the grips of an opioid epidemic that is destroying lives and communities, but one local doctor is helping to change that through a more compassionate approach to addiction treatment. Dr. Michael Rogers from South Jersey Family Medicine has joined Rally Point, an intensive inpatient drug and alcohol treatment center located in West Palm Beach, Fla., to give patients from New Jersey a connection to home. The old fashioned idea that addicts must “hit rock bottom” and be cut off from loved ones before getting help isn’t a part of Rally Point’s culture. The center’s addiction treatment programs are tailored to the patient’s unique needs, and based on love and inclusion in a family-like atmosphere. Patients get that sense of family not only from Dr. Rogers, but also his son-in-law and Rally Point’s CEO Chris Sheehan. Rally Point’s location is another major appeal for northern patients. Located in the heart of South Florida, Rally Point is able to offer unique services like adventure therapy, group outdoor activities, yoga/meditation, art therapy, music therapy, and on-site fishing thanks to its year-round tropical weather. Rally Point’s facilities offer all the comforts of home including a full kitchen, air-conditioning, washer & dryer, flat screen HDTVs, swimming pool, hot tub, therapy dog, and much more. If you or someone you know has an opioid addiction, traveling out of state for treatment offers a variety of benefits like fewer distractions, increased privacy, and more specialized services. Visit RallyPointPB.com today to learn more about their addiction treatment programs. Dr. Rogers completed his residency in Family Medicine at the Hahnemann Medical College Hospital (Philadelphia) in 1982 and joined the faculty at Temple University Medical School as Associate Director of Family Medicine. Following his tenure there he was named as director of Underwood-Memorial Hospital’s Family Medicine Residency Program and served there five years before opening his private practice. 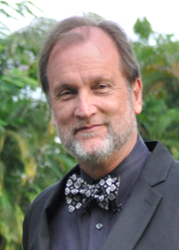 In 2016, Dr. Rogers announced he is the Medical Director of Rally Point, an intensive inpatient drug and alcohol treatment center located in West Palm Beach, Florida. As a family physician for over three decades, he has seen firsthand the impact addiction has on people and their families. In the past, he was medical director of an in-patient detox treatment center in Camden, N.J. Today, he continues to work with patients and families throughout their recovery after completing their rehabilitation treatment program. Rally Point is an alcohol and drug rehabilitation center located in West Palm Beach, Fla. that is licensed and certified by the Florida Department of Children and Families. The center adheres to the strictest standards of client treatment, confidentiality, and safety. Rally Point is a small, male-only facility that focuses on the fundamentals of long-term recovery through personalized treatment plans and aftercare programs.